Crowlin Lodge is a Canadian Style lodge with 2 bedrooms and one bathroom with walk in shower and 3/4 length bath. There is one double bedroom and one twin bedded room. Crowlin sleeps up to four people. 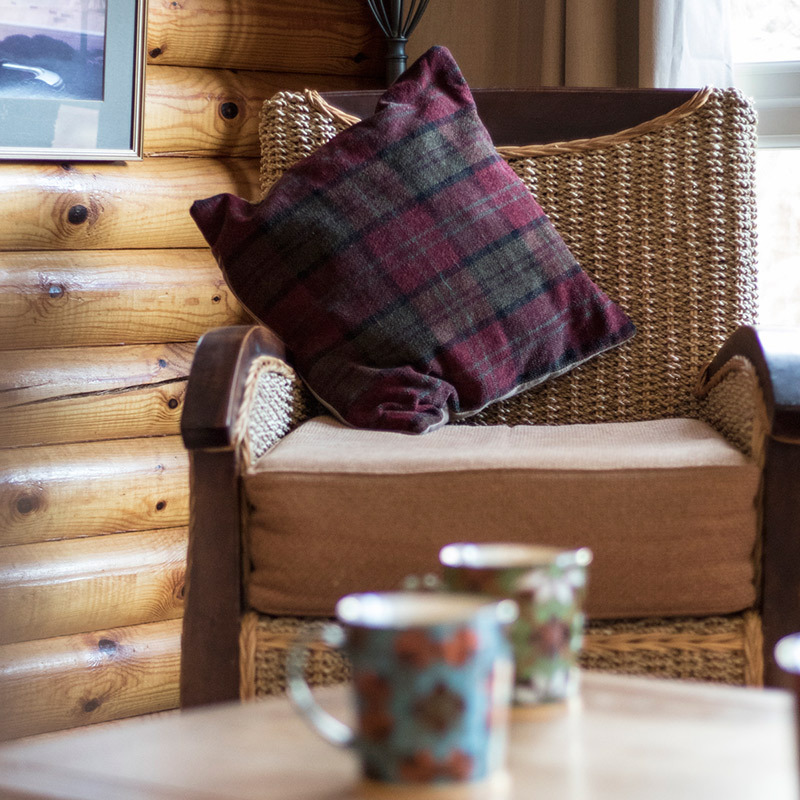 The lodge has electric heating in every room controlled by you, so whatever the weather, or your personal temperature preference, you are in control. Heating and electricity are included in the price of the lodge. 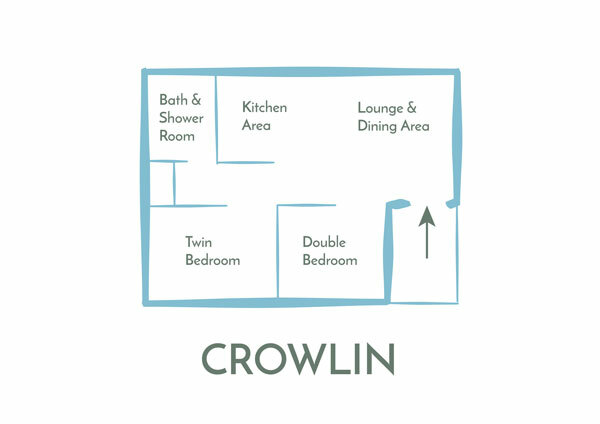 Crowlin is our ‘most returned to’ Lodge. 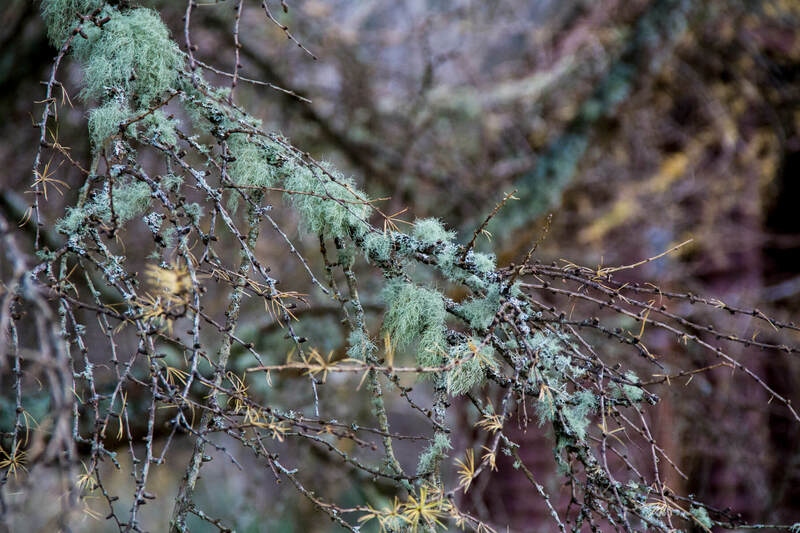 It has a warm cosy feel with a beautiful larch tree outside the window and lots of birds in the trees. Our local fox has been spotted a few times outside the lodge looking up longingly at the fat balls hanging in the tree for the birds! The kitchen is at one end of the open plan living area. It is equipped with an electric cooker and hob, microwave and an under unit fridge with a small freezer compartment. There are ample pots, pans and cooking equipment for 4 people as well as all the crockery, cutlery and glasses that 4 people will need. The Lounge and Dining area make up the majority of the open plan living area. The oak dining table and chairs seats 4 people and can be extended to seat 10 if you want to entertain friends staying in other lodges. The bathroom was refitted in January 2016 and has a 3/4 length bath and a walk in shower. There is also a wash basin, toilet and heated towel rail. Why choose this this lodge? Good views into the woods where the little roe deer hangs out.